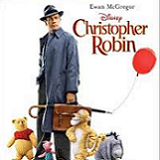 Christopher Robin, the beloved best friend of Winnie the Pooh, is seen as never before on Blu-ray, DVD and digital copy. Although he has put the Hundred Acre Wood behind him, Pooh bear knows just when and where to find his old friend. Together, they will have a life changing adventure that will leave the Robin family changed forever. 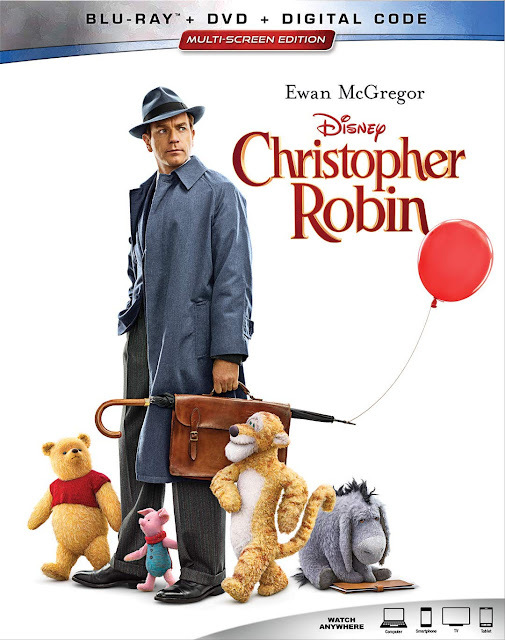 Christopher Robin (Ewan McGregor) left the Hundred Acre wood and all his friends behind when he went off to boarding school as a child. He promised to never forget Pooh Bear, Tigger, and all his playmates. In the thirty years that have passed, Christopher has grown up quite a bit. He has been to war and come back injured, and now has a wife Evelyn (Hayley Atwell) and daughter Madeline (Bronte Carmichael). He is now a very serious adult, working as an Efficiency Manager at a luggage company. 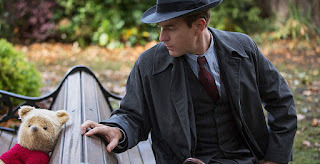 Instead of spending the weekend on holiday with his family, Christopher Robin must stay behind to determine how to make cuts and save jobs in his department. Although he hasn’t thought of Pooh Bear in years, this is the time when he needs Pooh the most. Magically, the tree that leads to the Hundred Acre Wood appears right in front of the Robin home in London. Winnie the Pooh wanders out and finds his old friend Christopher Robin. Pooh is distracting and messy and Christopher Robin wants to send him home quickly, but the tree Pooh came through no longer has a door. Christopher heads back to the country where he gained access to Pooh’s world as a child. Although he seeks to rid himself of the bear and get back to work, Christopher’s life and family will be changed after a day back in the Hundred Acre Wood with Pooh, Tigger, Eeyore, Rabbit, Kanga, Roo and Owl. If ever there was an adult Winnie the Pooh story, this is it. Little ones with short attention spans may not enjoy the live action film but their parents will. The live action film features stuffed characters that fit the period and look like they have been well loved. You’d never know that the characters were computer generated. It’s obvious that there were reference stuffed animals for the actors to work with. 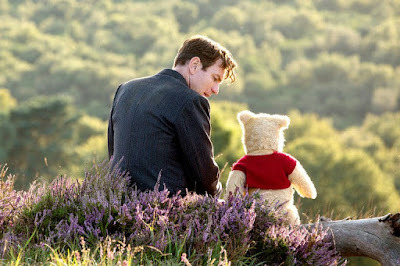 Speaking of the actors, Christopher Robin is very well cast. Most importantly, Ewan McGregor does a great job as the title character, showing a stodgy serious side with the childlike wonder just beneath the surface. Not every actor could talk to a stuffed animal convincingly, but he does it well. 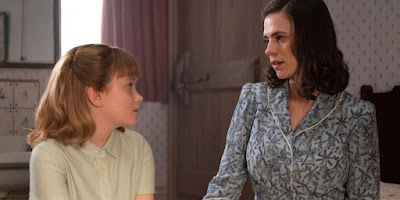 Hayley Atwell and Bronte Carmichael make for a convincing family, who bring a lot of heart to the film. It’s obvious that the filmmakers had a great deal of respect for the Winnie the Pooh legacy and worked hard to do it justice. The Christopher Robin blu-ray offers a stellar picture, in a widescreen 2.39:1 ratio. In this film Tigger isn’t bright orange and all the animals have intentionally muted colors, fitting with the period of the film. 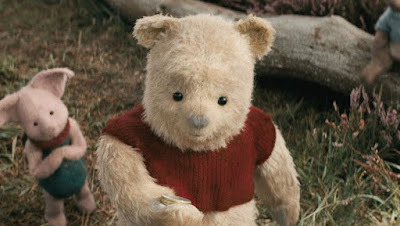 Texture in the animals’ fur is very detailed, but you’ll also pick up tiny fabric details on Christopher Robin’s suit. Even in the darkness of Christopher’s underwater nightmare, or when the gang hides inside a hollow log, you never miss the action because of problems with black levels. The 7.1 DTS-HDMA soundtrack is well balanced and robust. It delivers the bass of Eeyore’s voice but also fills the room with the roar of the heffalumps and woozles. Smaller details like the squish of Pooh Bear’s honey filled steps on Christopher Robin’s wood floor are authentic but it’s really impressive when you listen to him adhere to the carpet. Music and dialogue are well prioritized in this excellent audio presentation from Disney. A Movie is Made for Pooh (5:29) – Cast and crew discuss what they love about the books and characters. See how the real-life characters were made, with an incredibly sweet moment with the voice of Pooh Bear meeting Tigger. 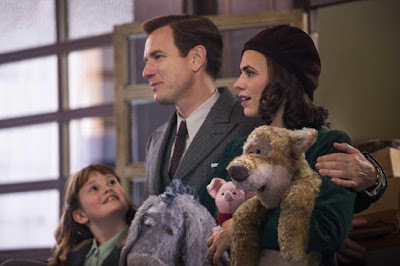 It’s clear the cast has a fondness for the story, that goes back to their own childhoods and Ewan McGregor was the right choice to play Pooh’s best friend. Pooh Finds His Voice (2:43) – Pooh’s voice is described as “a breeze whispering though cattails” and he is brought to life by Jim Cummings. Cummings' transformation into Pooh Bear, and his affinity for the Hundred Acre Wood are detailed here. Pooh and Walk Become Friends (2:43) – The story of how Walt Disney’s daughter introduced him to Winnie the Pooh and he reached out to the author in 1938. 1966s Winnie the Pooh and the Honey Tree was the start of a long relationship between Disney and Pooh. Pooh and Friends Come to Life (3:17) – Bronte Carmichael explains how they made the stuffed animals come to life. Christopher Robin has a lot of heart. The story isn’t always pleasant though, and not everyone will want to follow along the journey as Christopher Robin grows up, and even yells at poor Pooh Bear. The film is sweet and touching but will resonate more with an adult audience. 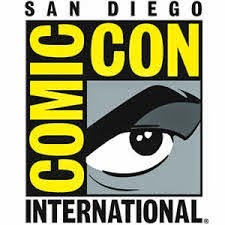 If your child has only seen brightly colored cartoon versions of these characters they may not make the leap to the real-world characters with real world problems. I enjoyed the film very much, which was well cast and included excellent voice acting as well. They did a great job bringing the gang from the Hundred Acre Wood to life without making you feel like you were watching stuffed animals. Recommended.